In October focused on SDG 11: Sustainable Cities and Communities. This goal aims at creating a future in which our cities are inclusive, safe, resilient and sustainable – with access to basic services, energy, housing, transportation and more. 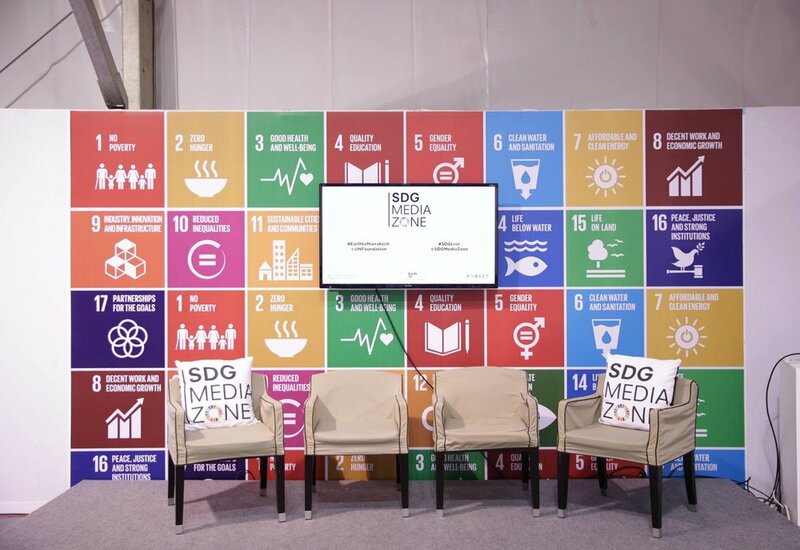 To have more information about the SDG Meetups just take a look at the SDG Gateway! C-Change attended the event and we got in touch with many funders and partners. join our monthly sdg meetups! In September we started with our first SDG Meet Up, focusing on SDG 12: Responsible Consumption and Production. 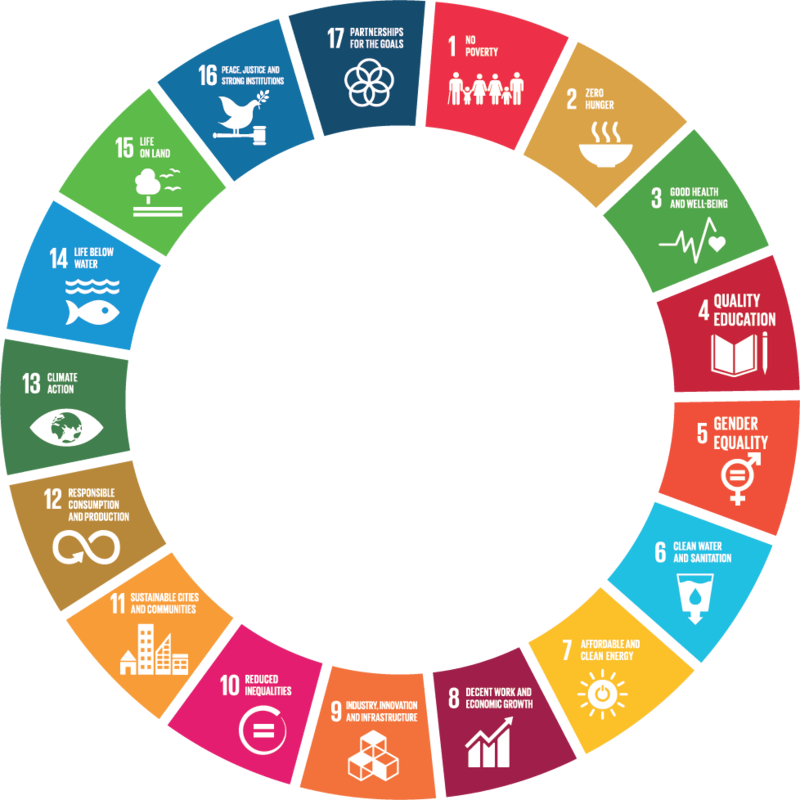 This SDG aims at promoting resource and energy efficiency, sustainable infrastructure, and providing access to basic services, green and decent jobs and a better quality of life for all. Read all about the meetups here. On September the 3rd, 2018, Carolien de Bruin, our founder and CEO, has been awarded "Alumna of the year" by the University of Groningen. We are very glad and thankful that the University of Groningen recognises the importance of sustainability for our society. Take a look here if you want to read her inspirational speech. Organized in the margins of the High-level Political Forum on Sustainable Development (HLPF) by United Nations Department of Economic and Social Affairs (UN-DESA) in collaboration with the United Nations Office for Partnerships (UNOP), the Partnership Exchange is United Nations' annual global gathering for reviewing multi-stakeholder partnerships and voluntary commitments in supporting the implementation of the SDGs. Impact Hub Amsterdam celebrated their 10-year anniversary with a day filled with workshops and keynotes featuring the latest in sustainability, start-ups and entrepreneurship. C-Change and MKB Servicedesk hosted an exciting and interactive workshop called "Small Businesses & the SDGs: A Match Made In Heaven?" In order to address inequality and injustice, we must more deeply understand the current status quo—and how to disrupt it. There is no other way to do this than to engage with, and be close to the people and communities facing deep and persistent biases of all kinds. We’ll hear from community leaders, activists, social entrepreneurs, and innovators who bring a profound appreciation of our shared challenges and who have worked from within and side-by-side with communities to find solutions. For the first time since its inception the Annual Conference of the World Association for Sustainable Development (WASD) will be co-organized with, and hosted by a United Nations body, namely the Joint Inspection Unit of the United Nations system (JIU) in the Palais des Nations – Geneva, as an expression of participatory, open and multi-stakeholder approach that underlies the 2030 Agenda for Sustainable Development. The thematic focus of the 2018 Conference will be “Public private partnerships for the implementation of the 2030 Agenda for Sustainable Development”. Both JIU and WASD are inspired by the conviction that the 2030 Agenda and its 17 goals provides momentum for a renewed UN engagement with the private sector. Carolien de Bruin will be attending as a panel member of the thematic panel Investing in SDGs on April 10th at 14:30. A diverse and jam-packed programme of thematic sessions for Festival-goers, spanning the three days of the event. Sessions are grouped around the 2018 core Festival themes: innovation approaches, citizen engagement, communicating the SDGs, mobilising action and multi-stakeholder engagement. The festival connects an inspiring mix of business leaders, activists, UN representatives, academia, governments, innovators, global organisations, and the media from across the globe to share their insight and experience in a truly phenomenal and hands-on atmosphere. This event for the partners and friends of the Global Partnership for Sustainable Development Data will focus on driving action and fostering strong links that will lead to improved outcomes as the Global Partnership community looks ahead, in the short term to the 73rd UN General Assembly in September and the World Data Forum in October, and in the longer term to 2030. This event provides an opportunity to participate in numerous thematic events, network with the global data community, meet representatives of the Global Partnership’s new Board of Directors and Technical Advisory Group, and shape the partnership's future. Impact² is the leading global event dedicated to social entrepreneurship and to the new economy combining wealth creation and/or positive social/environmental positive impact. The goal of Impact² is to generate economically innovative solutions to meet the social challenges of our times. The City of Paris and INCO invite the most brilliant minds across the world to discuss the building of a new economy, an economy that is wished to be fairer and more equal and that adequately responds to the social, societal and environmental challenges of our modern world. The meeting will be hosted by the City of Los Angeles, the Young Initiative on the Global Economy at Occidental College, and the Global Development Incubator. The two-day event will feature high-level keynote presentations, interactive deliberations, and synthesis sessions on accelerating SDG implementation. New Business Summit is the realization of the belief of World Startup Factory: “in order to solve pressing societal problems most effectively, businesses today need to stem from an alignment of effort among various actors in an ecosystem. Entrepreneurs, corporates, investors, SMEs, research institutions and governments should come together with shared efforts to tackle real-world societal challenges.” The event aims to be the platform addressing the need for this synergy. The 48th World Economic Forum Annual Meeting aims to rededicate leaders from all walks of life to developing a shared narrative to improve the state of the world. The programme, initiatives and projects of the meeting are focused on Creating a Shared Future in a Fractured World. By coming together at the start of the year, we can shape the future by joining this unparalleled global effort in co-design, co-creation and collaboration. The programme’s depth and breadth make it a true summit of summits. C-Change will be attending Web Summit as a BETA start-up, awarded to the most promising start-ups. Web Summit is the largest tech conference in the world and will be attended by over 60,000 people. On the 8th of November six inspiring speakers will tell their story at the WeDo 2030! festival in Amsterdam. 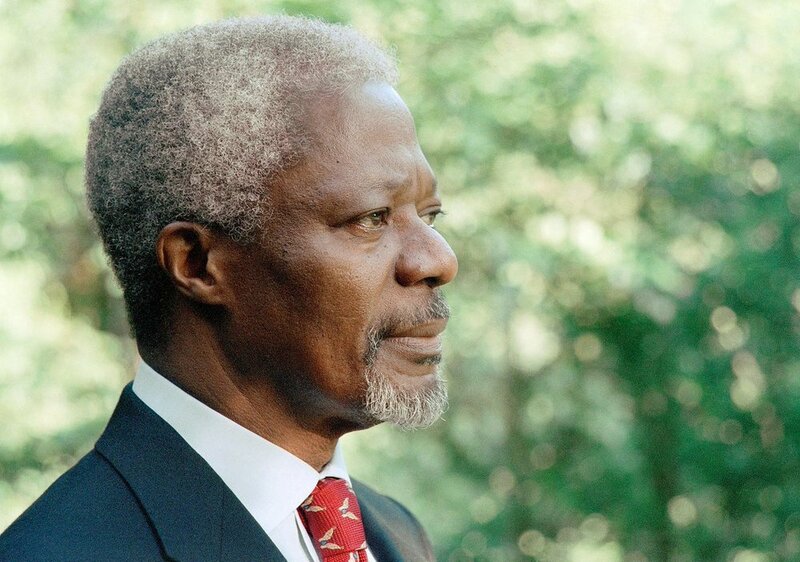 Former UN Secretary General Kofi Annan will be the keynote speaker. C-Change will assist JCI in getting everyone at the festival to commit to the SDGs. The festival will focus entirely on impact startups and scale-ups that are working on innovations that make the world a better place. Innovations that tackle social and global challenges take center stage. Carolien will pitch on behalf of C-Change during the Start ups on Stage event. On behalf of C-Change, Carolien de Bruin will moderate a 15-minute panel called Connect 4 Impact: The Urgency of Strategic, Collaborative SDG Action. The panel members are Siddarth Chatterjee (UNDP), Githinji Gitahi (Amref Flying Doctors) and Myriam Sidibe (Unilever). To follow the panel discussion on livestream, please go here. C-Change is proud to host the meeting: Advancing Business Network and Platform Collaboration, alongside Business for Social Responsibility, B Team, ICC (Global Business Alliance for 2030), USCIB (Business for 2030), UNDP (Business Call to Action) and Business Fights Poverty. Eurodad’s International Conference 2017, co-hosted with Latindadd, ActionAid Netherlands, Both Ends, OIKOS, Oxfam Novib, SOMO. In a world of extreme inequality, widespread poverty, and environmental fragility, the need for alternatives has never been greater. The global economic crisis proved the fragility of both the economic system and the model underpinning it. During the SDG Business Forum the publication of SDG Investing: Advancing a New Normal in Global Capital Markets will be presented by Carolien de Bruin. The report is now available for reading, to go to the full report go here. Following the success of last year’s inaugural forum, the second annual SDG Business Forum will take place at the United Nations on 18 July 2017 during the ministerial segment of the High-Level Political Forum (HLPF) on Sustainable Development. Carolien will be speaking here during the first session on Private Sector Investing in the Sustainable Development Goals. Check out her speech on UN TV here (starting at 1:34:00)! On the first day of this four-day masterclass, Carolien de Bruin, founder and CEO of C-Change, will provide a workshop on incorporating the SDGs and enriching strategic goals into the core processes of an organization. C-Change presented our report at the high-level SDG Financing Lab Action Event in New York this Spring and facilitated an Expert Meeting to validate its content. The report ‘SDG Investing: Advancing a New Normal in Capital Markets’ was commissioned by the United Nations Department of Economic and Social Affairs (UNDESA). The authors, Maarten Biermans and Carolien de Bruin, coin the term ‘SDG investing’ and call for a forward-looking action agenda for shifting capital markets. Our team is highly committed to contribute to the agenda going forward. Hosted by Lise Gregoire – Van Haaren, Deputy Permanent Representative at the Dutch Mission to the UN, C-Change addressed the Mission’s ‘Friends of SDG Financing’ and leading sustainability pioneers, including Peter Thomson, president of the United Nations General Assembly. Carolien de Bruin spoke about the Dutch ‘SDG Investing Agenda’ which was presented to the Dutch Cabinet in December 2016 and its more recent global report on SDG Investing.